Monsoon did arrive three days early in Kerala and managed to flood some states, but for the rest of the nation it has been nothing but weak. Almost a month after the onset of the southwest monsoon, 290 districts—more than 42 per cent of the country—have received deficient and largely deficient rainfall. Out of the 290 districts, 164 received deficient rainfall (-20 per cent to -59 per cent) and 126 received largely deficient rainfall (-60 per cent to -99 per cent). In June 2016, only 87 districts had reported largely deficient rainfall. Overall, the country’s monsoon rainfall was eight per cent below normal till June 20. The year before that, 186 districts reported deficient (150) or largely deficient rainfall (36). As of June 24, 2018, five states and union territories (UTs), including Gujarat, have received largely deficient rainfall. As many as 11 states and UTs have received deficient rainfall so far. In the east, West Bengal and Odisha received 28 per cent and 37 per cent deficit rainfall respectively. While only one out of 24 districts in Jharkhand have received normal rainfall so far, the situation in central India is not much better, with about 50 per cent districts in Madhya Pradesh and Chhattisgarh witnessing deficient or largely deficient rainfall. In the country, Gujarat witnessed the highest overall rainfall deficit (-85 per cent), followed by Daman & Diu (-72 per cent) and Rajasthan (-50 per cent). Had it been a normal monsoon, it would have covered eastern India, Madhya Pradesh, Gujarat and Rajasthan by June 15. Assam, which is otherwise reeling under floods, has also seen a dry spell in some districts. In fact, 11 out of 27 districts have received deficient and largely deficient rainfall. Kerala, Goa and Andaman & Nicobar Islands are the only three states/UTs that currently do not have rain deficit. Last June, while the country reported 4 per cent surplus rain, East and Northeast India ended up with 17 per cent deficient rain. Out of 36 met sub-divisions, 10 of them, constituting 28 per cent of the total area of the country, received deficient rainfall. Unlike last June, when Northwest India was the best performing region with a surplus of 50 per cent, this year the region registered a deficit of 15 per cent as of June 20. Much of the deficit is attributed to the stalling of monsoon for around two weeks. 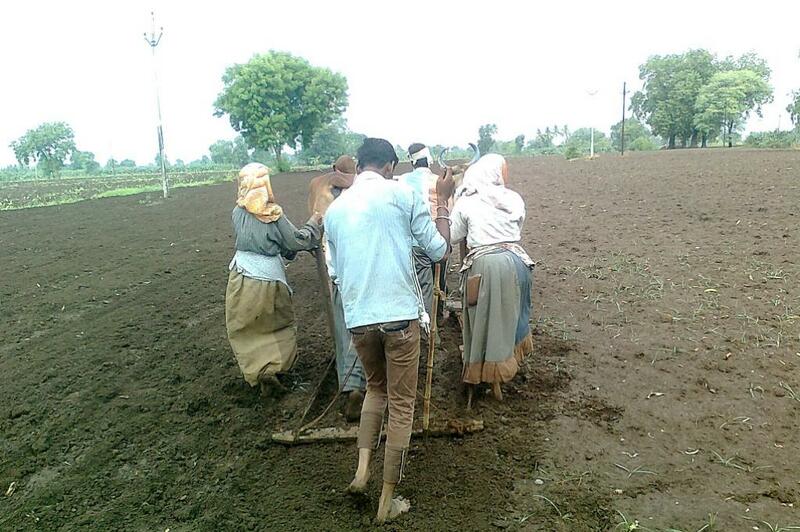 The immediate impact could be seen in the form of reduced sowing of crops. About 1.2 million fewer hectares have been planted this month than during the same time last year, according to a statement by the Union Ministry of Agriculture and Farmers’ Welfare. Till June 22, only 11.59 million hectares have been sown as compared to 12.84 million hectares in 2017. Moreover, with the probability of El Niño developing between July and September—the peak monsoon months—the rainfall could reduce further, affecting sowing of crops and aggravating agrarian crisis. A weak monsoon and deficit rainfall has started showing their impact on water level in 91 reservoirs across the country. As of June 21, the total live storage available in six reservoirs of Northern India is 2.83 BCM—16 per cent of total live storage capacity. During the corresponding period of 2017, it was 25 per cent. The total live storage capacity in 27 reservoirs of the western region, including Gujarat and Maharashtra was 3.95 BCM—13 per cent of the total live storage capacity. As opposed to 29 per cent in the corresponding period last year, reservoirs in the central region, including Uttar Pradesh, Uttarakhand, Madhya Pradesh and Chhattisgarh, have 21 per cent of the total live storage capacity.